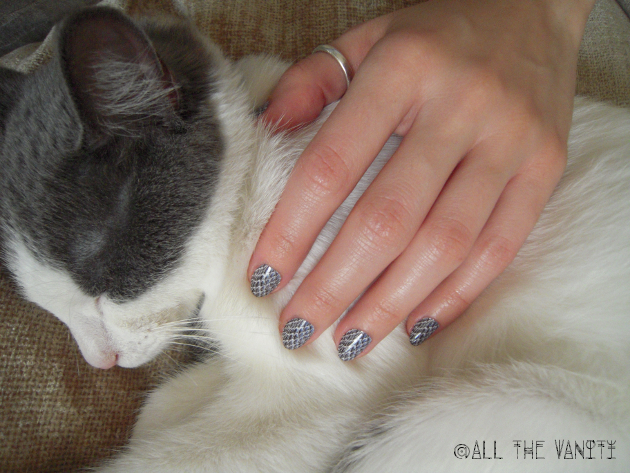 Venom free snake print nails (OMG Nail Polish Strips Review)! Even though autumn has well and truly settled as I'm typing these lines (i.e. brrr), my nails are not quite ready to jump on the fall nail polish bandwagon: my greiges and vampy purples will simply have to wait a while longer to be worn. Fear not, however, as this surely doesn't equal unkempt or boring nails - it's just time to break the norms and try out something different! And by that, I mean snake print nails! 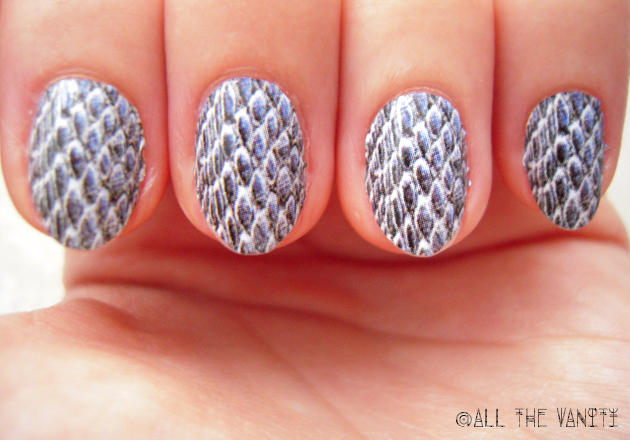 The design I have on is called "Viper" by OMG Nail Strips, which is an online retailer for nail strips and nail wraps. The application principle is pretty much standard, as with other similar products, and it doesn't require heat; just make sure you pick the right size for your nail, peel off, place on and file the excess sticker away. A few things I noticed: the packaging contains really wide strips, which is a good thing if you have larger nail beds, but for those of us with narrower ones, it will require some extra time to cut the sides until they're a perfect fit. The material is also different from the Sephora ones I've previously tried (review here), in that they're much more stretchy and flexible. The website also suggests that you run a cotton ball dipped in nail polish remover over the strip, especially at the edges, so as to help "melt" the strip onto your nails. I personally did not follow that last step, because my cuticle area is pretty dry lately, so I just finished with a top coat, and to me, the end result seems great, without any wrinkles or any danger of fraying. Disclaimer: item was provided for review consideration. What's your favorite brand of nail wraps? What designs do you or would you go for? Excuse moi... But haven't tried nail wraps yet... And I keep seeing them on your blog and I'm pretty jealous!!!!!!! There will no postpone I promise!!!! <3 these look just gorgeous on your nails! Lovely nail wraps! And your nails' shape looks so nice!! I have tried some random ones that I found at a local store but I prefer making my own designs on my nails!! Going Out Makeup Look: "Cranberry Cool"
The newest lip news from The Body Shop!